With the cold winter air, dry, irritated skin is sure to happen. And if you are like me where I also have a bit of redness on my face, it can make having BEAUTYful skin, a task! That is why I was excited to partner up with Paula’s Choice Skincare, to try out their Calm line. They promote this line as a must have for sensitive skin. Now before I get into the product(s), I’d like to address a false assumption, for people who have sensitive skin, as I think it is important to bust this myth! The myth…“Because I have sensitive skin, I should stay away from anti-aging skincare products.” But beauties this is not always the case! I am a big proponent on skincare, even with my sensitive skin! The key is using the products that have the right ingredients. First and foremost, you want to stay away from products that contain fragrances; even the natural ones can be irritating and worse yet, like in my case, allergy prone. Secondly, you want to be using is a skincare line that has ingredients that can rebuild the skin's barrier function as well as an anti-inflammatory. So if you want to see how you can soothe your sensitive, irritated skin, continue reading! As I mentioned above, I was given some products from Paula’s Choice Calm Line. This line comes in two formulas. One for dry skin and the other for oily skin. And yes, they are fragrance-free and have a gentle blend of ingredients that help to reduce inflammatory factors within the skin’s surface that trigger signs of sensitivity! The kit came with six products, which I use in the morning and evening. And as with all skincare products, layering them in the correct order is essential, and I will share this with you below. 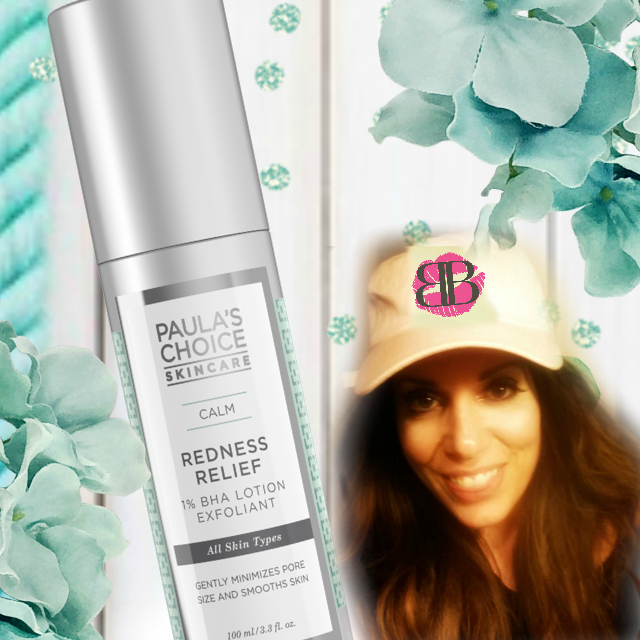 Disclaimer: This is a sponsored post written by me on behalf of Paula's Choice Skincare. The opinions are mine. Cleansing your face is the first step in your skincare regimen. Seems a bit obvious to me, but for those of you who may have just used water because you were afraid of what a product could do, to your sensitive skin, STOP! Using a facial cleanser is important as it helps to prep your face so to speak, for the other skincare products that follow. So how to use this bad boy? Get your face wet and then apply a small amount to your face in a circular GENTLE motion, rinse when finished. A toner is going to help to remove any leftover makeup you may have missed with the cleanser. This is one step I would skip as toners always seemed to trigger a burning sensation in my face. But not this one! As unlike some other toners I’ve tried, the Calm Toner is an alcohol-free formula, which helps to reduce inflammation that triggers sensitivity and redness. Toners also, contribute to softening and calming your skin. How to Use: Apply with a cotton ball all over your face and DO NOT RINSE! Yes, you read that right I said exfoliant. And no worries it is not irritating at ALL! Aside from it helping to remove that old skin, it also has some anti-bacterial properties, which I SO LOVE! Your serums are your treatments. If you recall, in the beginning, I mentioned having a product that helps to rebuild your skin's barrier is key, and this serum does just that. This anti-aging serum is very light weight and can be worn under your makeup, now how awesome is that?! A few drops of this goes a long way, and it is safe to use near those tired looking eyes! The last step in the morning is to apply a moisturizer with an SPF. Yes, even in the winter time we need an SPF. Don’t let the fact that it is cold outside confuse you into thinking you don’t need one. In addition to the SPF, hydration is also essential in aiding to repair and strengthen your skin, so it looks and acts less irritated and younger! And who doesn’t want younger looking skin? For the evening, follow the same steps with the exception of your moisturizer. You want to use the Calm Redness Relief Moisturize instead of the one with SPF. I am in love with this line. My favorite is the Calm Redness Relief 1% BHA Exfoliant; this is going to be a staple in my skincare arsenal. First the anti-bacterial properties have helped with some outbreaks that I get. And for the anti-aging lover in me, I loved that this gently assists in removing the built up layers on the outside of the skin, revealing that new skin below. In case you don’t know, dull skin is what contributes to false wrinkles, and makeup can sit in these lines. Using a product like “CALM” can smooth out the texture of skin, allowing for a better makeup application! You can see the new skin reveal from my photo above, it is still a bit red, but the skin has a nice glow that I like. Now I'm ready to apply my makeup! 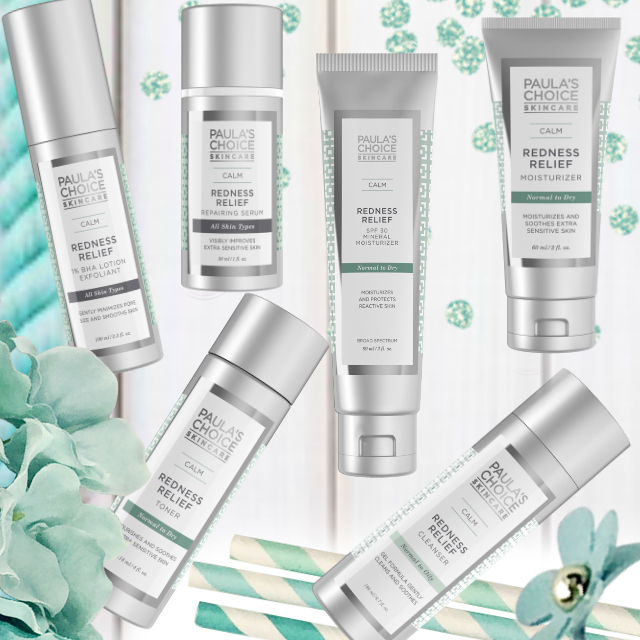 So beauties you see the missing piece to reducing redness and irritation is… A SKINCARE REGIMEN. 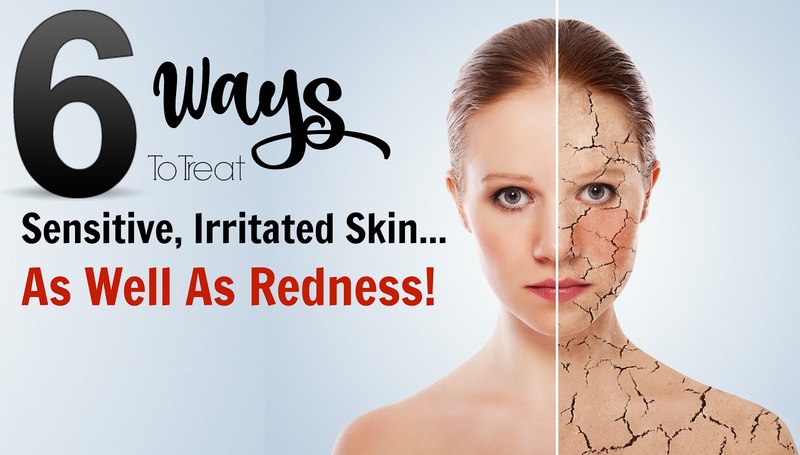 As overtime, you skin will become less sensitive, irritated and red. Enabling you to feel eventually better about your skin's appearance and more importantly, yourself! Wanna try this or maybe another Paula's Choice Product? Well now you can while saving 20% OFF! PLUS...A CONTEST Hosted By Myself and The Other Power Primpers! I'm glad you seem to like these products as much as I did! I have not used anything from this brand but the products sound interesting by your description. This sounds fab! I don't tend to suffer from sensitive skin on my face which is bizarre as I do everywhere else on my body - I guess I should be grateful for small mercies!